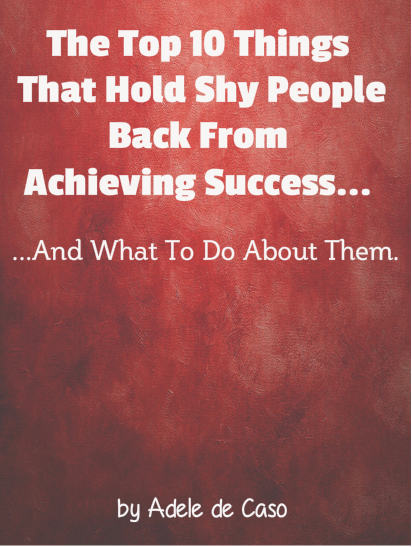 In this post I want to explain why I feel that network marketing is a perfect fit for shy people. Growing up being a shy person was not easy for me. I was always referred to as the ‘quiet one’ and this always made me feel even more self-conscious. At school, I dreaded the time when it was my turn to read in English and I hated class discussions, living in constant fear that I would be picked to contribute. When I embarked on my career things didn’t get any easier. I had quite a responsible job in a hospital laboratory, but I was very unhappy there because I found it hard to communicate with some people and I wouldn’t speak up if I needed to know something. Although I was shy, I always had a dream of running my own business. I often imagined doing something I loved, on my own terms. I am passionate about success and helping others to become successful. The turning point for me, was when I came across a home-based network marketing business that I could work in my spare time. I discovered that not only had I found an opportunity to make money, but along with it came the introduction to personal development. This was in the form of trainings that I was invited to attend. I had never heard of personal development before. I didn’t do a lot of reading because the books I studied at university had put me off! However, when I realised that there were books and audios and training meetings to attend where I could learn how to become successful, I couldn’t wait to get started. I found it fascinating and read book after book. I also listened to audios in my car on the way to work. I grew a successful business and my husband and I still run it today, supporting a team of distributors and showing them how to change their lives. Network marketing is actually really well suited to those of us who are shy. It allows us to gradually step out of our comfort zones a little at a time. There are lots of tools available to help us to present the business to others and the added benefit is that we can approach the person who has introduced us to ask for help when we need to. I found that my confidence really began to increase quite quickly. The great thing about network marketing is that you get recognised as your business grows. This really gave me belief that I could do it, as did seeing others achieving their goals too. If I hadn’t found the business and personal development that came with it, I don’t know where I would be today. Maybe I would have come across it through some other means, who knows? All I can say is I am so glad that I came across it when I did, because it has helped me immensely. I am still me, but just a more confident version. I have even spoken at three conferences now, which I never thought I would be able to do! Public speaking was the ultimate test of my confidence. I am now living my dream, running my network marketing business which has now expanded into Spain where we live at the moment, I am also able to spend a lot of my time writing and teaching people how to be successful in their own lives. 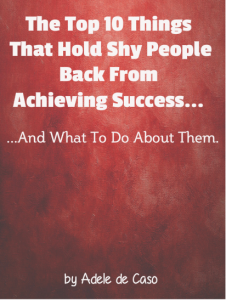 I have written two books, Shy People Can Be Successful Too! – Achieve your dreams without changing your personality, and 52 Tips For A Fantastic Year – Simple Ideas Big Impact. I wrote the first book because I wanted to share the idea with people that shyness doesn’t have to stop them pursuing success and creating their dream life. I feel that success is all about developing some good habits and bringing some new simple ideas into your life. 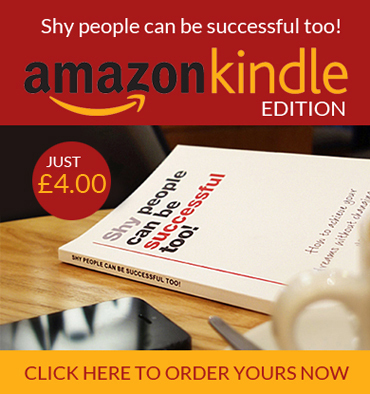 Whether you are shy or not, my second book contains 52 of the best ideas I have used over the last 20 years. They are things that I have learnt and put into practice and they have all worked. I also believe that anyone can be successful if they develop the right mind-set, so a lot of the points in the book are to do with creating such a mindset. I wouldn’t say I have overcome my shyness. It’s more that I have embraced it. I don’t see shyness as a flaw anymore. 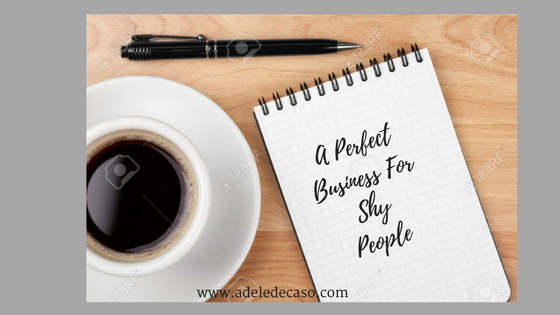 I actually think that shy people have some really good qualities that can be put to use in business, particularly network marketing. Shy people are usually great listeners, and it is very important to listen to what people want. They also come across as very genuine which gains trust in people. I would still describe myself as quite shy, in certain situations in my business today, but I don’t let it stop me from doing the things I want to do. It doesn’t have to. I believe that you should always be yourself because you are unique, just use personal development to become an even better version of you so that you can achieve the success that you desire. I wish you every success with your journey. This entry was posted in Blog, Uncategorized and tagged Confidence, network marketing, Shyness. Bookmark the permalink.